For people with busy schedules, juices and smoothies are an easy way to sneak in a day’s serving of fruits and vegetables as well as essential nutrients without taking time of the schedule to cook complicated meals. They are easy to prepare and can be consumed on the go, making them especially ideal for professionals. The major difference between blending and juicing is that blending simply purees the fruits or vegetables while juicing removes the pulp and fibers and leaves behind only the juice. 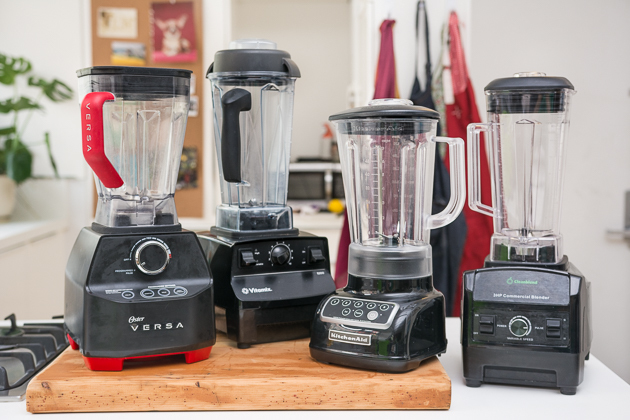 Many blenders are not able to juice and vice versa, but many people would like to get the benefits of both without having to spend money on separate machines or having to clutter up their kitchen with multiple machines. For these people, it is worth investigating the various products on the market that are capable of both juicing and blending. 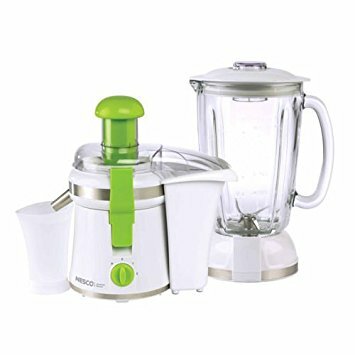 The specification details of five of the best combination juicer and blenders are discussed in this article, along with additional features that make each of them unique. 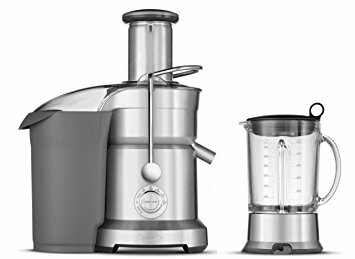 This dual juicer and blender features extra sturdy interchangeable die-cast bases for its juicing and blending attachments. The three inch wide chute for juicing is extra wide so that whole fruits and vegetables can be processed without a need for cutting, saving valuable time. It comes in five variable speeds including ice crushing, smoothie, and pulse settings so that you can get the perfect blend no matter how tough the fruits and vegetables. The scratch and chip resistant fifty-one ounce jug holds enough juice or smoothie for multiple servings, eliminating the need to re blend every time you would like a glass. A special Hemisphere Blade and Bowl technology wraps around the base of the glass jug to eliminate spillage and bacterial food traps. Stainless steel blades stay sharp for longer and resist rusting. All attachable components are fully dishwasher safe for easy cleanup. 1200 watt motor provides enough power to blend even the toughest fruits and vegetables. 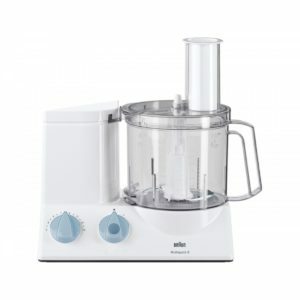 This sturdy dual juicer and blender is notable for its unique base structure that holds both a traditional blender and a specific juicing component. The blender works the same as any other household blender and comes with a sturdy fifty ounce glass jar. It features two speeds and a pulse feature that helps to blend tough foods. The juicer feature of the machine extracts pulps and fibers from the fruit or vegetable blend to result into a smooth juice. The juicing tube is one and a quarter by two inches wide to accommodate larger chunks of fruit. The pulp is saved in a sieve mechanism in the bottom of the machine so that it can be used in smoothies, baked goods, or other recipes. A unique suction cup base that ensures that the device doesn’t slide around on your counter even during the most intense blending or juicing. A 14,000 RPM juicer speed makes sure that tough fruits and vegetables are quickly and smoothly blended. All components of the machine except for the suction cup base are fully dishwasher safe. The stainless steel sieve and pulp collector are both removable for easy cleanup. 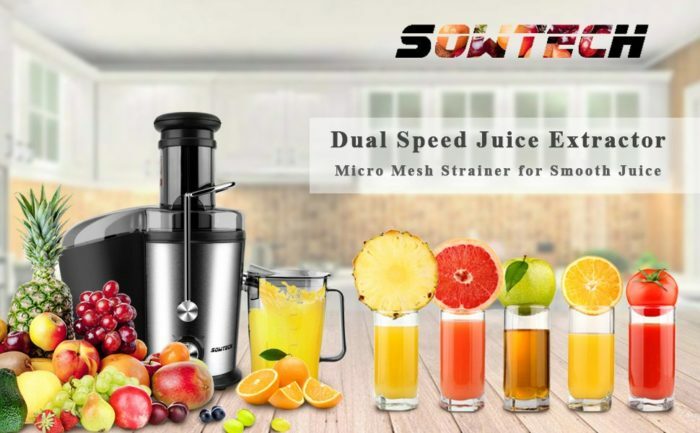 This SOWTECH juicer and blender comes with a powerful dual speed motor that makes squeezing fresh juice quick and easy. The dual speeds feature a slower speed for soft fruits and vegetables as well as a faster and more intense speed for processing tougher fruits and vegetables. If you want to make juice instead of a smoothie, simply add in the removable juicing net which filters out all pulp and fibers to make a smooth, delicious juice. The capacious 1.1 liter jug holds a significant quantity of juice so that you can process large batches at once. The machine comes with a cleaning brush to make cleanup as easy as possible. A manual is included so that initial setup and processing go smoothly. The machine and blade are made of stainless steel so that they stay sharp longer and resist rust. This multi purpose juicer and blender is electronically controlled with several variable speed settings. It is especially notable for its unique dual safety lock feature that ensures that bowls cannot be opened when the unit is running, reducing risk of injuries from the blades. The bowls also seal during use to make sure that no juice leaks out or overflows. The capacity of the bowl is a hefty nine cups. What makes this different from some other blenders is that it has multiple attachments almost reminiscent of a food processor. These include a universal chopping blade for the blending and juicing aspects, a powerful dough hook that can knead three pounds of dough, and cream whipping attachment, and a slicing assortment that includes a shredder and cheese grater. The front panel of the machine contains usage instructions for quick reference. All components are dishwasher safe for easy cleanup. The machine is white with visible blue control knobs, giving a clean and aesthetic look to your kitchen. 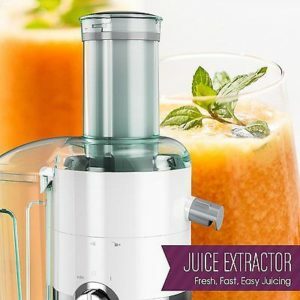 This juicer combines three functions – juicing, citrus pressing, and smoothie blending – in one compact machine. The stainless steel filter juicer basket separates juice and pulp for pure juices without pulp or fiber., while a two-liter pulp container saves the pulp for future use in smoothies or other recipes. The large opening chute for the juicer portion of this machine is wide enough to fit even whole apples to make your juicing experience as fast as possible. The citrus presser features a juicing cone that can twist the delicious juice out of citrus fruits ranging from lemons and limes to oranges and grapefruits. The blender feature comes with a sturdy, shatterproof 24 ounce blending attachment and a four tip hygienic stainless steel blade that produces a superbly smooth and creamy blend. A handy anti-drip spout to make sure that juice doesn’t get wasted and that cleanup is hassle free. A tightly sealed travel lid means that you can quickly produce your smoothie or juice and take it with you on the go for busy schedules. The powerful 800 watt motor is strong enough to fully blend even the toughest fruits and vegetables. Choose one of these five for your kitchen and watch as your investment pays off morning after morning, workout after workout. There are many people who can not indulge in regular milk. Often, this is the case because of milk’s lactose sugar, which causes many people problems with their digestive systems. Others choose to drink different kinds of milk because of their diets, such as vegans or vegetarians. Soy milk is a great option for these types of people. However, the soy milk you see at the store is not always the best option for you. In fact, anything that is packaged and manufactured in a plant is more likely to have added sweeteners, preservatives, and even colorings that make them appear or taste better. These options aren’t always good for you, hence the creation of the soy milk maker. There are several benefits to having a soy milk maker in your home. If you tend to drink soy milk more than anything else, you might want to invest in one after reading about these benefits. Many of these benefits were found on Urban Vegan where they mention several different reasons to go with a home soy milk make instead of buying the packaged stuff. Of course, there are other benefits as well, depending on the soy milk maker you decide to purchase. Some even have a self- cleaning option to help save you time. Regardless, you will save money on your grocery bill each month or week since you will be making your favorite soy milk at home. 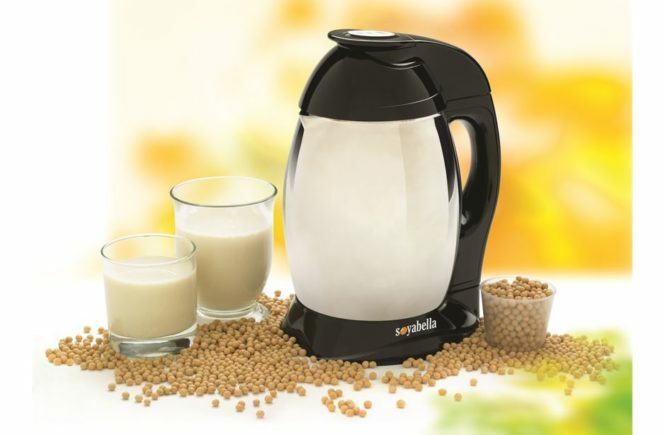 Sitting at a great price, this soy milk maker is ideal for use in your home. It is the perfect capacity to make milk for two to four people, depending on the size of your family. All it takes is one press of a button to get the delicious soy milk you look for in the store, without all those added things that might reduce the nutrition of the milk. This maker has been featured on many different websites as well since it is one of the most popular brands. According to Huaren Store, this soy milk maker has a broken-free filtration system that polishes the soy beans completely to release all the nutrition found inside. You can choose your temperature settings and time to produce the perfect soy milk for your needs and your taste buds. It is even equipped with a warming function that keeps the soy milk warm until you are ready to drink up. 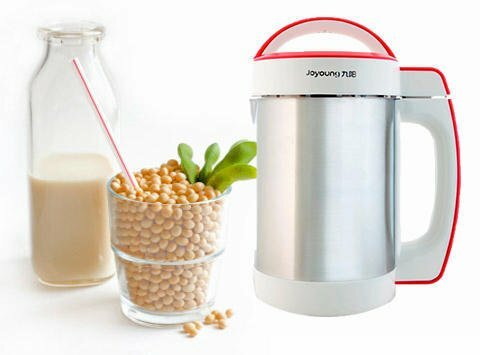 Much better than store bought soy milk, this maker has everything you need to get your delicious soy milk at home. You can save money in the long run as well. This maker produces soy milk with the simple press of a button. All you have to do is insert your favorite ingredients. This maker also has a wonderful self-cleaning mode, so you don’t have to worry about cleaning up when you’re done. 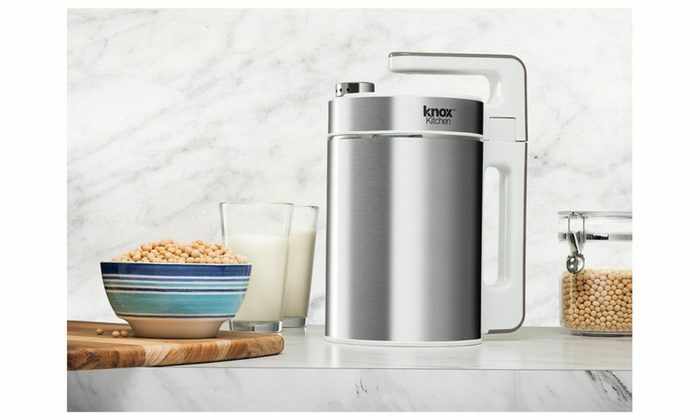 This soy milk maker is featured on Sears.com where they boast about the stainless steel materials that are sturdy for years of use. It holds up to 1.5 liters of liquid, and it is a modern design to match many different kitchen themes. It is compact enough to be stored away when not in use. You are in control of the ingredients, which means you don’t have to worry about any added flavors, sweeteners, or preservatives. Self-cleaning and easy to use, this soy milk maker is a great way to get the soy milk you love right in your own home. It makes up to four cups of soy milk at a time, which is great for sharing your delicious soy milk. This maker can produce soy milk from dry or soaked soy beans, and it can be cleaned with heating or even without heating. The maker is made of stainless steel for durability and anti-staining. It is also a juicer, which means you can not only make delicious soy milk, but you can also produce rice paste, stew, soup, fruit juice, bean paste, and vegetable juice. 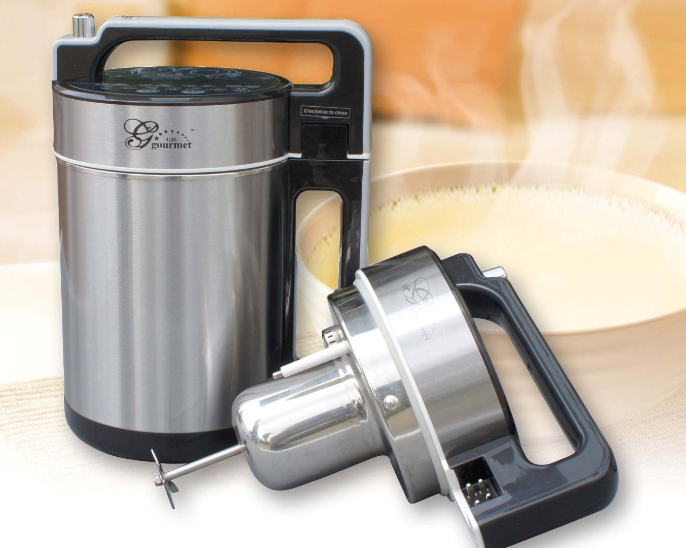 This soy maker sits at a great price as well, helping you save money now and in the future. 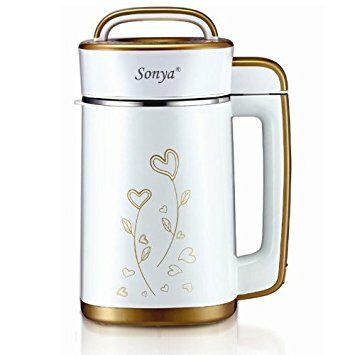 This soy milk maker is a popular brand. It has been featured on many different websites for its great features. It can produce all sorts of things including soy milk, fruit juice, multigrain milk, smoothies, pastes, and milkshakes. There are no limits to this soy milk maker. This maker also includes a special bottom heater that keeps your contents warm without burning the liquid or causing it to stick to the maker. It is easy to clean as well since it is made with a filter-less design. 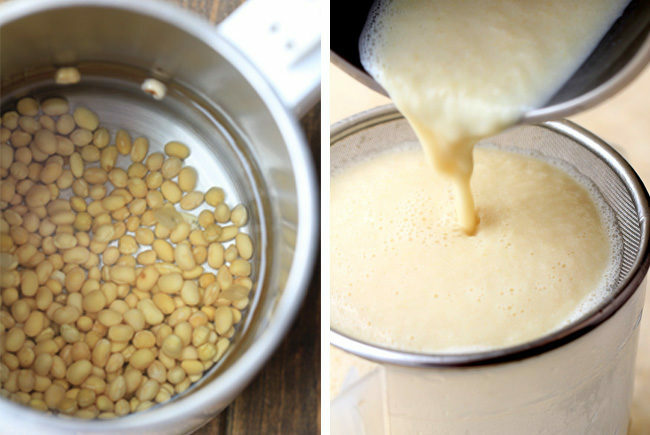 All you have to do to produce delicious soy milk is add your ingredients, push a button, and enjoy. It has an automatic programming to help you get the milk you want. You will save money on your grocery bill as well as save money right now since this soy milk maker is priced great. It is one of the most popular brands of soy milk makers on the market. 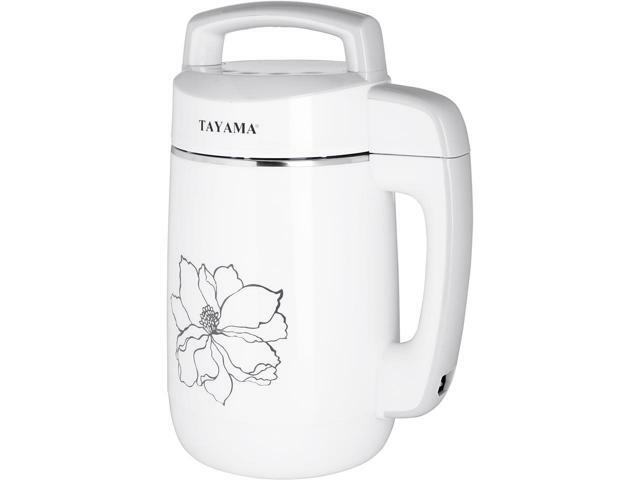 Made with a thermoplastic liner, this soy milk maker is ideal for safe handling even when hot liquid is inside. Through a special process, this makes grinds the beans through a double emulsification, and it leaves all the natural fragrances and tastes in the milk. All the nutrients are more concentrated as well, leaving them behind for you to ingest. It is made from a high-quality stainless steel, and the electrode design has an anti-overflow to protect your maker from leaking after multiple uses. The x-blade in the grinder thoroughly grinds up the beans for a better tasting soy milk. You also don’t have to worry about any added ingredients since you are in control of what you put into your soy milk. It should come as no surprise to learn that not everything found at the grocery store is organic and healthy for you. In fact, packaged soy milk is often full of sugar, preservatives, and added colors to enhance the look and taste of the product on the shelf. That sort of stuff isn’t great for your health. So when you begin looking for a great home soy milk maker, you can look for things that make it easier to get the soy milk you want. These home based machines have many benefits, not only for your health but for your wallet as well. These machines are ideal for saving you money while producing delicious soy milk at the same time. Vitamins are a prerequisite component to human body development implying that their intake is essential. Vitamins are present in vegetables, fruits, animal products like milk, and from dietary supplements that are taken as prescribed by a physician. Milk, in particular, contains vitamins that are vital to the enhancement of growth and development of a newborn calf in its early days of life. Likewise, it has nearly all nutrients necessary for human growth and development thus making it one of the most nutritious foods on earth. Cow milk can be found almost everywhere on the planet, and it is the major animal milk that is consumed by human beings. Nevertheless, a camel, goat, and sheep milk is also available based on the availability of these animals. The availability and the nutritional value of cow milk have seen it become the most consumed type of milk in many societies. Milk is predominantly high in vitamin B, vitamin D, proteins, and mineral compounds that vital to human bodies in various ways. 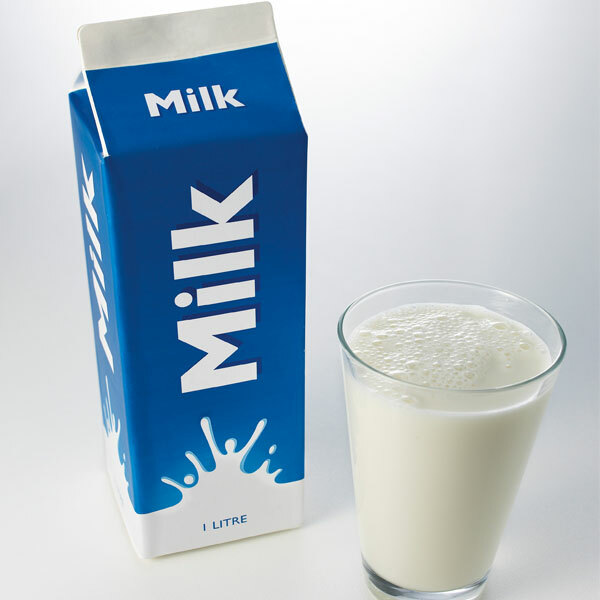 In U.S.A, milk is enriched mostly with vitamin D, which is a basic requirement for the absorption of calcium. It is a fact that the human body can make vitamin D once exposed to sunlight; however, there are those individuals who spend little time outdoors implying that they are not exposed to adequate sunlight. In this case, one can get the vitamin D necessary for the body to function and develop properly by drinking vitamin D milk. • Vitamin B12: This vitamin is vital and is only acquired from foods of animal origin and milk is the prime source. • Riboflavin: Also referred to as vitamin B2, it is a component of B-vitamins. Dairy products, particularly milk, are the primary source of riboflavin especially in the West. • Vitamin B5: This type is responsible for converting food into tissue formation, bones, and energy. The content of vitamin level in milk essentially depends on the level of fat content in the milk. This is the main reason why low fat milk must be enriched with vitamin A to be nutritionally equivalent to whole milk. Alternatively, dietary supplements have been widely used as a source of different types of dietary components that serve different purposes in human bodies. Just as the name suggests, supplements simply add to your diet. In case you are lacking a particular nutrient, for instance, vitamin B12, you can acquire it from a supplement formula. Subject to your lifestyle, dietary supplements can be helpful in improving your health but not without risks. If used recklessly, health supplements can have adverse effects to the overall health status of an individual. In dietary supplements, multi vitamins are the most used formula. While milk is considered a great source of calcium that is a key component of strong teeth and bones’ growth and development, it also contains vitamin A components that can give you hard and strong bones. 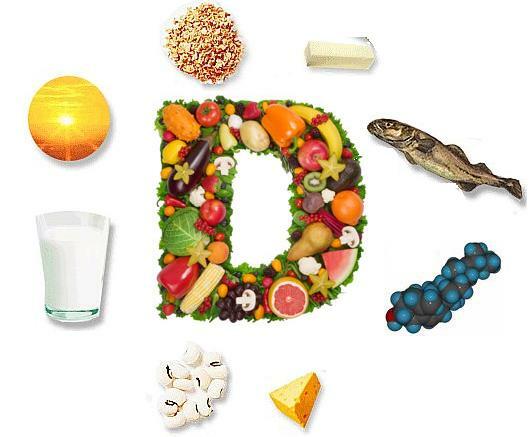 Food nutrients like vitamin D are essential for the body to absorb and make good use of calcium minerals. Although sunlight is the major source of vitamin D, fortified milk can also offer a good amount of vitamin D for those who do not spend enough time in the sunlight for adequate vitamin D intake. Fortification of milk with vitamin D is common almost in all countries across the world, especially in the Northern parts of US. 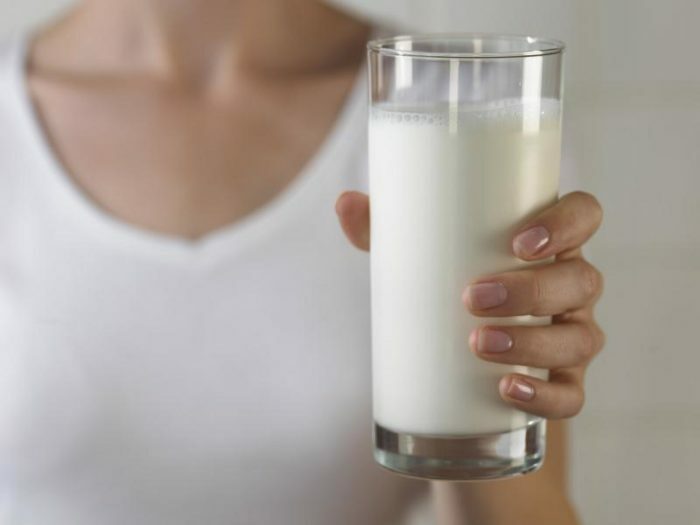 One glass of milk enriched with vitamin D in the US may contain up to 65 percent of the daily-suggested allowance of vitamin D. The daily intake of enriched vitamin D milk is a crucial dietary consideration for strong teeth and bones for growing children and keeping the bones strong as one grows older. your body with the vitamins it needs. It is no doubt that vitamins can also be obtained from dietary supplements rather than from natural sources like milk products. The beneficial value of sourcing vitamins from milk greatly outweighs the benefits accrued from getting them from supplement sources. This is because supplemental sources often have unintended side effects. Despite the fact that some dietary supplements can provide some vitamins that milk cannot offer, they are not meant to replace milk entirely. Relying entirely on multivitamin supplements for nutritional needs can lead to the accumulation of toxins in the body. As such, it is important to rely on naturally acquired milk vitamins. Unlike milk-sourced vitamins, supplement vitamins can cause different reactions to various individuals. They might increase blood pressure and cause allergic reactions, among other effects on an individual. For instance, servicemen may experience various reactions to dietary supplements that may be occasioned by climate or stress. Click here to see other reactions occasioned by supplements on servicemen. Milk, on the other hand, has minimal effects on people regardless of their origin or the climatic conditions that they experience. Endurance and physical activities are important since they help with weight loss and keeping physical fitness. Vitamin B received from milk increases metabolic activities in the body, which translates to more activities in the body, thus reducing weight. However, taking supplemental vitamin pills to reduce weight can lead to serious repercussions, thus proper precautionary measures need to be put in place to mitigate their effects. The dangers associated with using dietary supplements mostly include high blood pressure, increased possibility of cardiac arrest, and muscle breakdown. 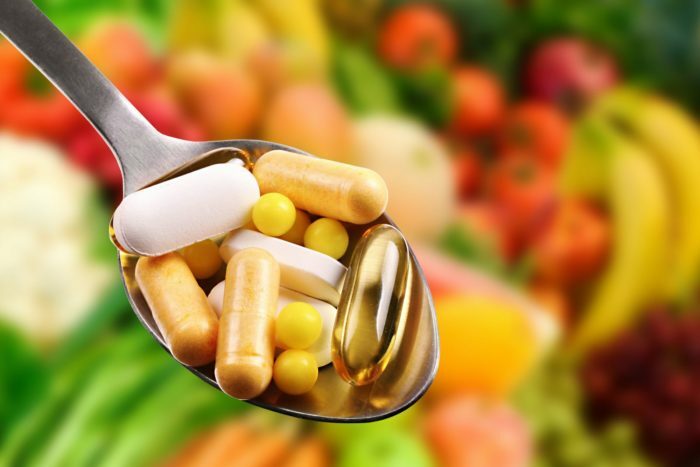 As such, it is always important to consult a qualified nutritionist or a doctor before embarking on dietary supplements for vitamins over milk and its products. At first glance, the question seems simple enough. Can milk-like beverages, ones that look like milk and taste like milk, but are derived from plants rather than from teats, be sold as a type of milk, soymilk in particular? This is not a harmless little spat. Plant-based beverages, led by increasingly popular soy milk, have grown into a $7 billion industry; and it’s expected to double in size by 2022. While the faux-milk industry has grown rapidly, real-milk producers are facing declining sales. So, they’ve decided to fight back. Jim Mulhern, president and chief executive officer of the National Milk Producers Federation has drawn a line in the sand. Even if food technologists can make plant-based beverages look like milk and taste like milk, they’re not milk. Real milk can only come from mammals. A plant-based, milk-like beverage is not the nutritional equivalent of real milk and can’t be marketed as such. It calls the plant-based beverage industry’s name grab a “transparent attempt to profit from milk’s good name by emulating the wording, but not the superior nutrition, of our products.” Owning the term milk for marketing purposes is a huge deal. Milk has a reputation that’s pretty much beyond reproach. But the question of who can use it in describing a product, and how, is very much the subject of debate. There’s a tendency to side with the purists who define real milk as one thing and one thing only. But if milk is modified by always using a word to qualify it, like soy, or almond, rice or coconut for that matter, mean that it’s not real milk? Plant-based milk groups are renewing their demands that the Food & Drug Administration rule on a 20-year- old petition asking FDA to clarify its stance on plant-based milk naming. The Soyfoods Association of North America originally petitioned the agency 1997. The FDA has never issued a ruling. Now, the Good Food Institute (GFI) which is opposed to what it describes as industrial animal agriculture, is demanding the FDA make that ruling and that the ruling specifically allow the term “soy milk” to be used in the marketing of soy-based beverages. It argues the term soymilk has been so widely used, for so long, it’s become a part of the food vernacular. It further argues the FDA has been letting food producers use common names like soy milk to describe plant-based milk for years. [The FDA has not stopped the Silk brand of soy milk, for instance, from using the term prominently in the packaging and marketing of its products.] It says it just wants the agency to make it official. The FDA has so far refused to grant the petition. It continues to insist the federal definition of milk is that of a “lacteal secretion” from cows. The agency is adamant that referring to plant-based drinks as “milk” would be incorrect. The fact that it hasn’t enforced the rule does not mean the rule is incorrect. To make things even messier, the USDA is using the term itself in dietary guidelines it publishes for American consumers despite the FDA’s insistence that it refrain from doing so, As part of its investigation into the FDA’s reluctance to rule on the 20-year- old petition, the GFI discovered emails, in which a nutritionist working the FDA’s parent agency, the Department of Health and Human services, had corresponded with FDA officials to inform them of the USDA’s impending release of dietary guidelines to the public containing the term the term soymilk. USDA but was then told by the USDA that the agency was adamant about using the term in consumer publications. The NMPF is currently working on legislation that would require the FDA to enforce the federal standards for what can be considered true milk. This would make using the term milk in combination with soy, or any of the other plants from which a milk-like beverage can be derived, a crime. The ball is back in the hands of the FDA at the moment, and it seems like a no-win situation. If the FDA sticks to its guns on the definition of milk, it runs afoul of its sister agency and risks a law suit from the GFI. If it does a flip flop and re-defines milk in a way that plant-based products qualify for the designation, it ends up with egg on its face and the dairy group will expedite its efforts to pass legislation that would take the issue out of the department’s hands. The debate over the term soymilk has already been settled in the European Union. The courts there ruled in June that almond, rice, and soy beverages cannot be called “milk.” The NMPF is confident U.S. courts would rule the same way. Meanwhile, the FDA and the USDA continue to wrangle over the one best way to officially describe plant-based beverages. Finding a solution that both agencies can live with may prove to be elusive. It’s “not a trivial decision,” the FDA warned in one of the 2011 emails about the USDA’s desire to use the term. At this point, no resolution is in sight. It came as no surprise, then, when asked more recently what steps it intended to take to resolve the dispute, the FDA said it had no comment. 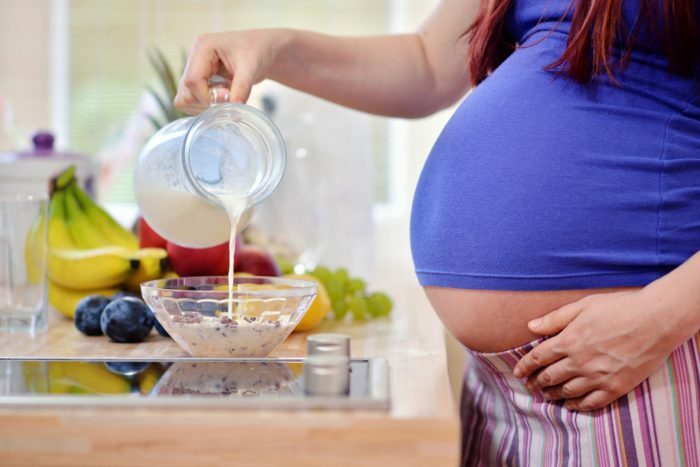 Is It Safe To Drink Soy Milk During Pregnancy? One of the most important things a woman can do during her pregnancy is eat a healthy, well-balanced diet. The common misconception regarding pregnancy is it’s a free-for- all when it comes to eating. Eating for two is the very common term people use when they get pregnant and want to over-indulge in foods they love, but it’s not an excuse. A poor diet can lead to many issues regarding the health of the baby a woman is carrying in addition to the health of the expectant mother herself. 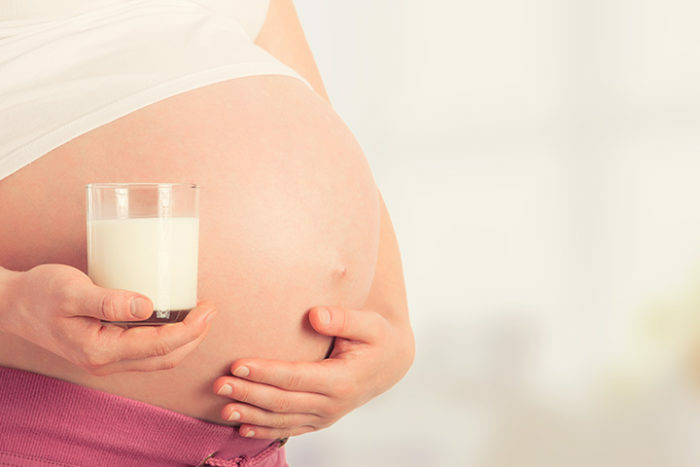 One of the most important things a woman should consume during pregnancy is calcium, and that’s where questions regarding soy milk become important. The health and development of the fetus you’re carrying depend highly on the food its mother consumes while pregnant. What a woman eats, her baby eats. This is why it’s imperative women listen to their doctors when it comes to finding a way to eat healthy and consume foods that benefit both her and her baby. She’s not going to give up food she loves forever, but she should learn what’s not good for her, what she should only have in moderation, and what she should avoid while pregnant. Calcium is one of the most important things a woman must have during pregnancy. It’s this that allows her baby to develop strong and healthy bones, and it’s also directly related to the growth and development of a baby’s heart, muscles, and even its nerves. Calcium is imperative every day for a pregnant woman, but it’s not always easy to consume for some. Some women cannot consume dairy products. Certain health conditions such as an intolerance to lactose are problematic before, during, and after pregnancy. Since calcium is most prevalent in dairy products, it’s not always easy for a woman to get in as much as she needs when she’s intolerant to it. This means she’s going to find a way to deal with her intolerance with alternatives. 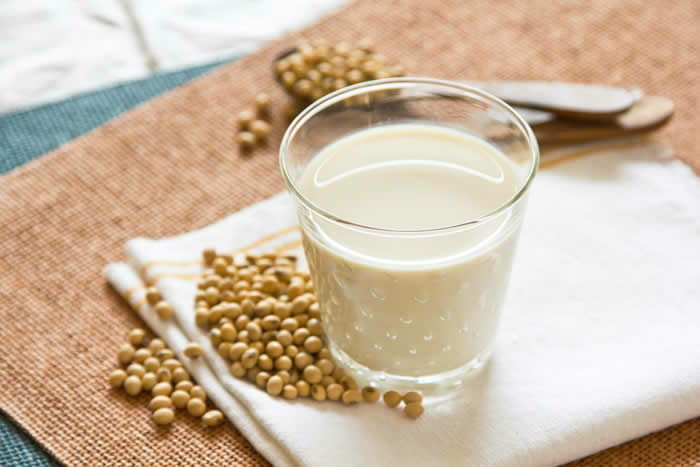 Soy milk is a nonmilk source that helps women consume the correct amount of calcium each day. They can drink soymilk safely during pregnancy in most cases, though it’s imperative women speak with their doctors about what’s good for them and what they can consume. Not all pregnant women are the same. Some may consume it, and others may not. Never make a health decision based on anything other than doctor’s orders while pregnant, but do know soy milk is typically safe to consume when a woman is expecting. While pregnant, women must stay healthy and active. If soy milk is part of their diet rather than dairy products, women must learn how much they must consume to get the healthy recommended dose of calcium each day. If she’s 18 or younger, she needs to consume 1,3000 mg of calcium each day. That number drops to 1,000 per day once she is older than 18. It’s also helpful for women to exercise while pregnant. Never start a new exercise program without first consulting with a doctor, but most women can safely walk, swim, and engage in activities such as dance, prenatal yoga, and other forms of exercise. This helps both moms and babies stay healthy and experience a much more pleasant pregnancy. If a woman cannot drink as much soy milk as she needs to get the amount of calcium she needs each day, there are other ways she can use soy milk to get calcium into her daily diet. For example, since coffee isn’t good for pregnant women, they can begin drinking lattes in the morning. These are made with a lot of milk, which is good for the body. By utilizing soy milk rather than regular milk, a woman still gets the same amount of calcium and she gets something that’s has a coffee-like flavor without the health risks. She can also take supplements, but no pregnant woman should ever take any supplements without first talking to her doctor. Supplements can be good for a woman, but many have too many of a good thing in them, which is not always good during pregnancy or even after. It’s also important for women to remember that not all supplements rich in calcium are good for her to consume if they also have other nutrients in them that aren’t good during pregnancy. Soy milk is safe to drink during pregnancy, but only if women haven’t any allergies. It’s also important for women to remember that using soy milk in recipes is good, but not if those recipes are unhealthy or not good for their health conditions during pregnancy. Some women suffer from high cholesterol or even gestational diabetes. If this is the case, a woman’s doctor might encourage her to change her entire diet to better suit her own health needs as well as the health of her baby. All women carrying a baby must remember everything they consume is vital to health of their unborn child. Good food helps them grow, and bad food can cause health issues if they are not eaten in moderation. It’s not always beneficial for people to try a new diet or substitute things they’ve always consumed for new products without first discussing this with a medical professional. There’s too much at risk. Yogurt is a healthy and delicious treat with numerous benefits to those who eat it. High in probiotics that boost digestive health, as well as protein and calcium for muscle repair and strong bone growth, yogurt is one of the best foods you can eat. In fact, there’s even evidence to suggest yogurt eaters are healthier on average than people who don’t regularly consume yogurt. The best part about yogurt, though, is how easy it is to make at home. Not only that, recipes can be easily modified to include whatever you like. In this case, we’ll be covering how to make soy yogurt entirely from scratch. Whether you’re vegan and don’t partake in dairy products or just looking for a change of pace, this tangy treat is sure to be exactly what you need for your yogurt fix. We’ll be adapting a recipe found on FermentationRecipes.com with our own added twists and tips to show you how it’s done. It’s incredibly easy to make your own soy yogurt, as there are only two essential ingredients in the whole affair. In order to create the thick and creamy yogurt you’re familiar with, you’ll need four cups of soy milk and half a cup of a live bacterial culture. You can find the culture sold in powder packets or, if you don’t feel like tracking those down/can’t find any, prepackaged non-dairy yogurt works just fine. 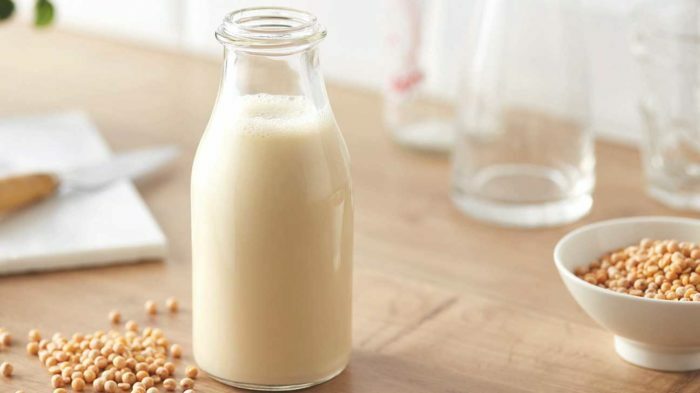 If you choose to use homemade soy milk instead of store bought, too, you’ll need a cup of dry soybeans, three tablespoons of your favorite sugar or natural sweetener, and a quart of water. Any flavor additives you wish to put into the finished product also need to be collected. If you’re planning to use store bought soy milk, you can skip this section, though yogurt made from milk you cooked yourself usually tastes better despite the extra work. 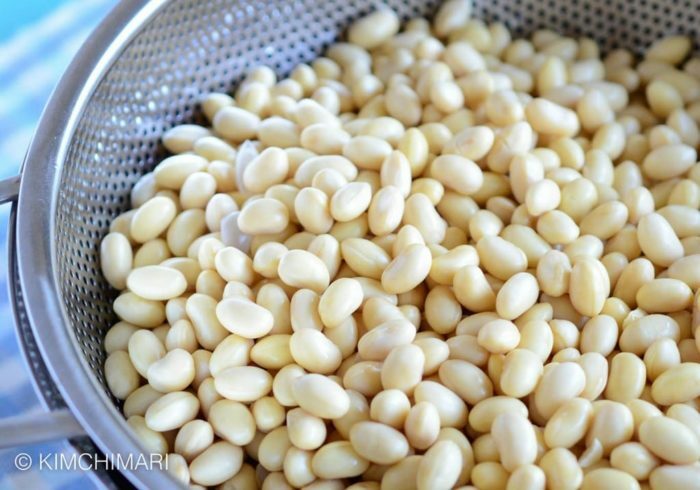 First, add soy beans to a sauce pot with enough water to cover and simmer for two hours on low heat. While some recipes recommend simply soaking the beans, simmering them helps to draw out more flavor and produces a better texture. If you prefer, though, soaking will still work fine. After two hours pass, drain and rinse the beans in cold water and leave them to set for a few minutes. This shocks the beans and gives the skins a chance to separate from the beans, after which you can peel off easily by rubbing the beans between your hands while in the water. Just rinse out the skins from the water bath and drain again. It’s okay if there are still some pieces of skin left on the beans. Once drained, place the beans into a blender with your quart of water and sweetener and blend until the mixture becomes thick and creamy. Strain through a nutmilk bag or cheesecloth into a container, squeezing the solids collected by the sieve to extract as much milk as possible. You can keep this in the fridge for up to a week until you’re ready to use it. The first thing you’ll need to do is preheat your oven to 400 degree Fahrenheit. You won’t be cooking the yogurt at this temperature, but the oven must be very hot to start with. After it reaches temperature for two minutes, turn the oven off completely. As the oven heats up, place four cups of your fresh soy milk into a clean pot and heat it on medium low temperature until it reaches about 110 degrees Fahrenheit. Once it reaches temperature, pour into a bowl large enough to comfortably mix things into it. Once the warm soy milk is in the bowl, combine it with your yogurt or bacterial starter and mix well. If you haven’t overheated the milk, you should see bubbles starting to form quickly as the bacteria grows. If the bubbles are slow or nonexistent, your milk was likely too warm and killed the bacteria. At this step, you can also add in any flavorings you’d like. Vanilla bean is a popular choice, though chocolate or fresh fruit juice is also an option. Flavor the yogurt to taste (literally), but try not to overpower the natural yogurt itself. Once the oven has come to temperature and been turned off, place your bowl of yogurt mix into the oven (you can also transfer portions of the yogurt into individual containers if you prefer). Let it sit like that for four hours or overnight to allow the bacteria a chance to grow in a warm environment. After the first warming period, remove your yogurt from the oven and bring it back to 400 degrees before repeating the process for another four hours. Once you successfully complete this second cycle, taste the yogurt and see what needs to be added. Sweeter yogurt will benefit from additional sugar, while tarter yogurt can be made with another trip through the warming cycle. Once you’re satisfied with the taste, allow the yogurt to cool down to room temperature and chill it in the fridge. 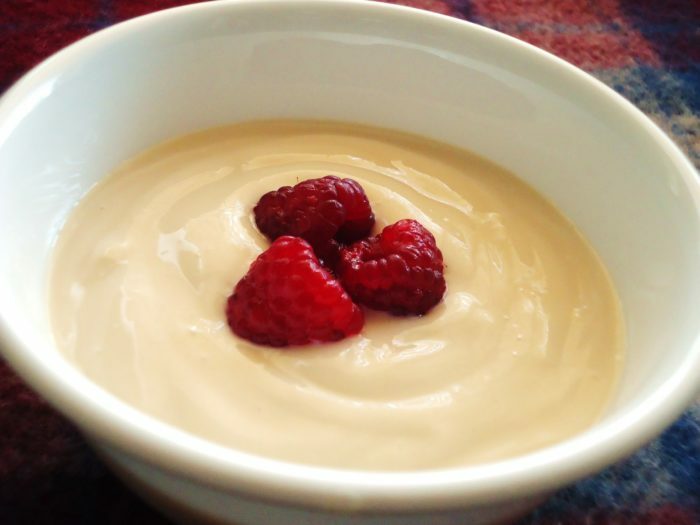 You’ve successfully made your own soy yogurt, and it wasn’t even that hard. 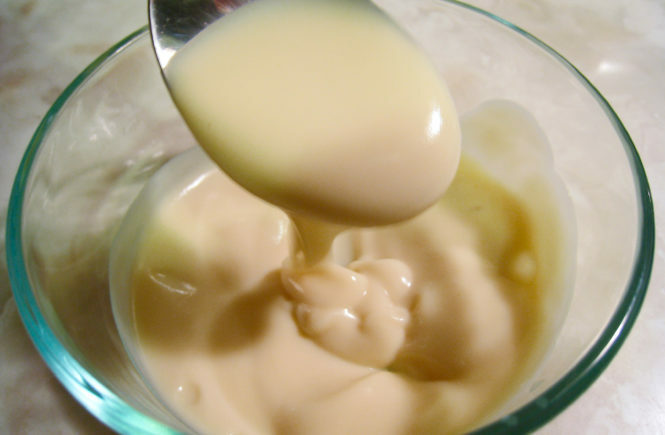 As a final tip, remember that the bacteria in yogurt is still alive even after the heating cycles. Allowing the yogurt to cool before covering it and placing it in the fridge slows down bacterial reproduction, whereas immediately covering and chilling will allow the environment within the container to cool outward to inward, potentially leading to tarter or more sour flavors in areas. However you like your yogurt, though, it’s sure to taste even better knowing you made it yourself. Does Soy Milk Make You Fat? It seems as though there’s a new diet craze every couple of days: Low carb diets, vegan diets, gluten free diets, and even Paleo diets are now making the rounds. With the emphasis on defeating obesity and trying to eat healthier, many people have turned to foods like soy to try to improve their diets. You may have seen soy milk, tofu, or other soy-based products at your local grocery store and wondered: Is soy really healthy for you? Does soy milk contribute to weight gain? To answer these questions, it helps to look at what soy is and how it is used in different foods. Soybeans, also known as glycine max, are a type of beans that are native to East Asia. According to a study from the U.S. Department of Agriculture, they are one of the most common crops grown in the United States. 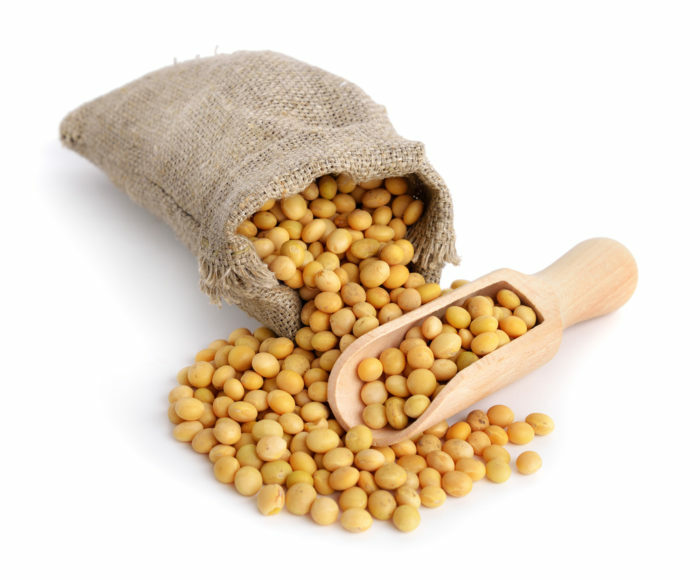 There are actually two different species of soybeans, but both are made mostly of soybean oil, water, protein, and some carbohydrates. What Are The Benefits of Drinking Soy Milk? Soybeans are popular as a food choice because they provide a lot of essential nutrients, such as proteins, essential omega-3 fatty acids, and healthy fats. They are also a convenient alternative to meat or lactose products for people who are vegetarian, vegan, or lactose intolerant. A range of soy products has emerged across the world, including tofu, soy paste, soy milk, miso, and even soy burgers. According to the U.S. Food and Drug Administration, soybeans can help lower cholesterol and provide other health benefits. The American Cancer Society claims that eating soy products is not harmful and that their high level of phytic acid can help reduce inflammation and maybe even prevent cancer. What Are The Possible Risks of Drinking Soy Milk? However, although soy milk does have its benefits (such as those listed above), some studies also point to the drawbacks associated with consuming soy products. Many of these have to do with the fact that soy contains compounds called isoflavins that mimic the body’s naturally produced estrogen. Thus, there is some concern that drinking soy milk could contribute to breast cancer growth or lead to unwanted side affects, such as hot flashes, hair loss, bloating, and weight gain. There have also been studies investigating soy’s relationship with a number of medical conditions, such as breast cancer, prostate cancer, gout, hyperthyroidism, and cognitive impairment. However, most studies investigating these claims have shown that there is not enough evidence to conclusively prove that consuming soy products has a dangerous effect on health. For instance, a 2010 study published in a journal by the American Society for Reproductive Medicine showed that eating soy protein or isoflavins had no effect on reproductive hormones in men and did not cause prostate cancer. On the other hand, studies of soy’s effects on cognitive functions have been mixed: Some studies suggest that it can lead to brain atrophy in rats, while others show no correlation between soy consumption and cognitive deterioration. So, Does Soy Milk Make You Fat, Or Not? The fat content in a serving of soy milk is less than the fat content in a serving of cow’s milk. Soy milk tends to have around 2 to 4 grams of fat per serving, while cow’s milk has around 8 grams of fat per serving. Soy milk generally has more calories than cow’s milk– about 140 calories per serving, compared to about 90 to 130 calories in cow’s milk. Soy can interfere with the production of thyroid hormone and lead to hyperthyroidism, which can lead to weight gain. So, bottom line: In small amounts as part of a balanced diet, soy milk alone is not responsible for weight gain. 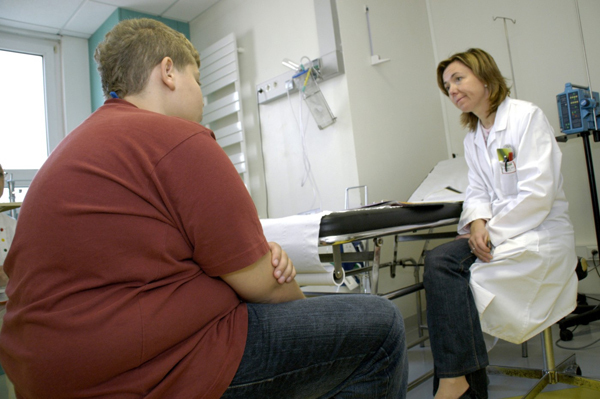 It may promote hormonal weight gain by acting as estrogen, but otherwise has no effect. 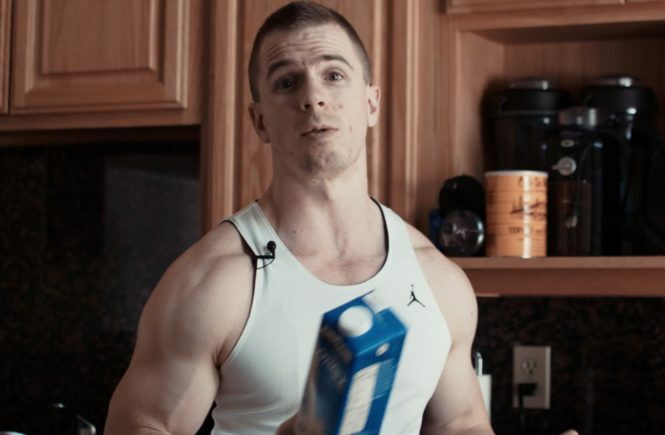 Is There a Soy-Milk Estrogen Connection? 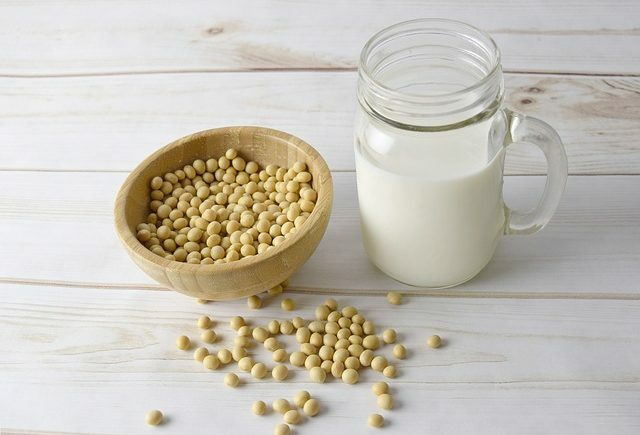 People ask if there is a soy-milk estrogen connection frequently, but that may not be what they mean, as there definitely is a connection between soy milk and estrogen. This may be the only portion of the real question not subject to debate. Better phrased, people wonder if the soy-milk estrogen connection is good or bad for their health. 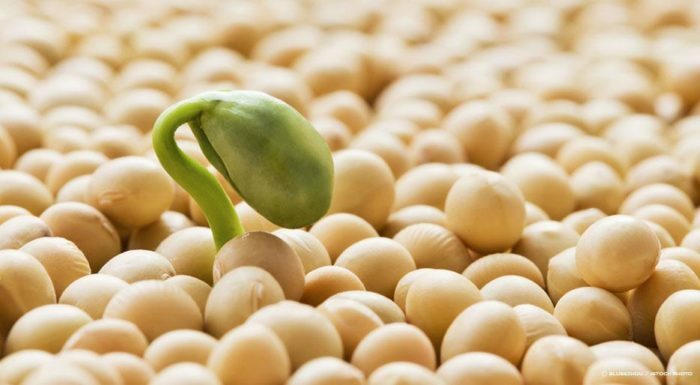 All soy products contain phytoestrogens in the form of isoflavones, which are complex compounds,m and one in particular, which is called genestein. Phytoestrogens are a substance found in edible plants such as clover and soy that mimics estrogen, and can affect estrogen levels in humans and other animals. Phytoestrogens are bio-identical to estrodial, which is a specific component of estrogen and the primary female reproductive hormone. There have been studies that conclude that isoflavones are anti carcinogenic, and other studies that indicate that they may cause certain cancers. Likewise, while phytoestrogens are commonly used in compounded human growth hormone supplements, the long term consequences are unclear. As of 1999 the FDA has a dosage suggestion of 25 grams of soy proteins a day. However, in 2008 the FDA commented that soy milk should be avoided and can actually be dangerous for infants unless deemed medically necessary, as it may have long term health consequences. 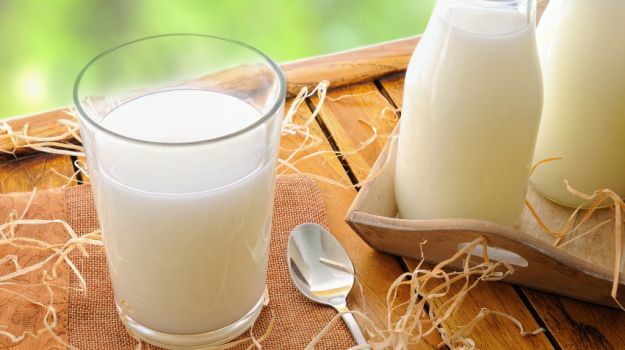 The largest studies of the direct connection of soy milk and other foods and breast cancer were the LACE Cohort (US Population) of 2009 and Shanghai cohort (Chinese population) of 2009. Both studied soy intake in the diet in women recovering from breast cancer who were prescribed tamoxifen. The results were varied. In some women, the soy products reduced the need for tamoxifen, while in others the response was neutral or negative. The Women’s Sport Health Medicine Center (citation below) recommends soy consumption for post menopausal women, while cautioning that it may have a negative effect on women entering the pari menopausal phase. According to Web MD (citation below) consumption of soy may increase the risk of endometrial cancer. A persuasive study detailed in Men’s Health (see citation below) details the study of a man who had taken to drinking several quarts of soy milk a day, and developed a feminizing reaction, including breast enlargement, erectile dysfunction, mood dysphoria, and loss of facial hair due to decreased testosterone. A paper published in Harvard’s Journal of Reproductive health (citation below) found that the consumption of soy is related to decreased sperm count. This study of 90 men found that the more soy products the men consumed, the fewer sperm they produced. Soy was initially touted as being beneficial to the heart, but more recent studies indicate that isoflavones don’t act upon the heart independently. 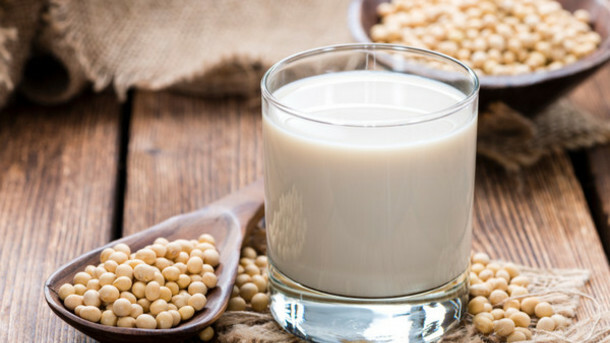 Soy does, however, reduce LDL cholesterol and contain HDL cholesterol, as well as saturated fats similar to Omega 3’s, but the ADA has stated that initial claims may have been over exaggerated. (Citation below). 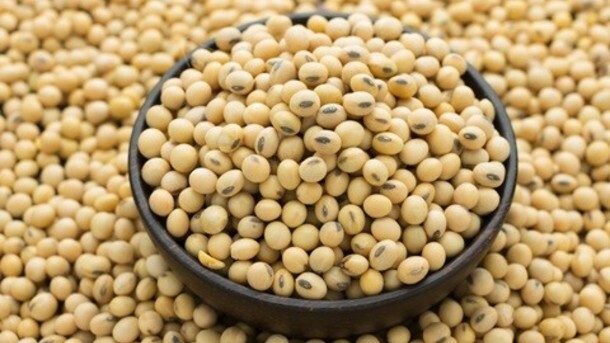 Soy’s effect on prostate cancer remains unclear. While among scientists there is an agreement to disagree, and studies the consumption of soy and soy milk is debated in the public arena. While Asian countries have consumed small amounts of soy products for centuries, the West only recently discovered tofu and soy milk. Soy is now massively consumed as a health panacea. While a few ounces a few days a week may have been normal in an Asian diet, some Americans are drinking quarts a day. Soy milk is so popular that it has had a distinct impact on consumption of milk, raising the ire of the Dairy Board and causing a war of sponsored studies, advertising, and paid articles hawking one side or another. Yes, there is a soy-milk estrogen connection. The question lies in what this means. Eef Hogorvorst, Phd., of Loughborough University, and other researchers. AHA study of 2000. Health and wellness is on the rise. More and more people are able to practice all kinds of diets because of the availability of interesting food options. No matter the diet followed, chances are high that you have at least considered trying tofu. 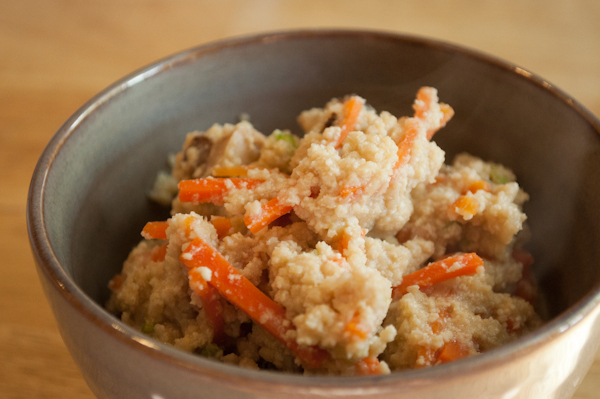 This foodstuff is one of the staples in vegan diets and many Asian cultures, which is basically a curd made from mashed soybeans. Preparing tofu might seem intimidating, but the following should help guide you just a bit. Those who have tasted tofu know that it can taste pretty bland. This is mostly because it was not prepared to absorb flavor, which must be done before cooking. Most tofu comes in blocks full of water, which is obvious, and most people drain the box that it came in, but that is merely the first step. Tofu contains a lot of water, which is why it is harder to absorb flavors or seasonings. What you want to do is slice the block into a few slices, and place them on a paper towel-lined baking sheet. Keep it down to a single-layer, which you are going to cover with an additional paper towel. 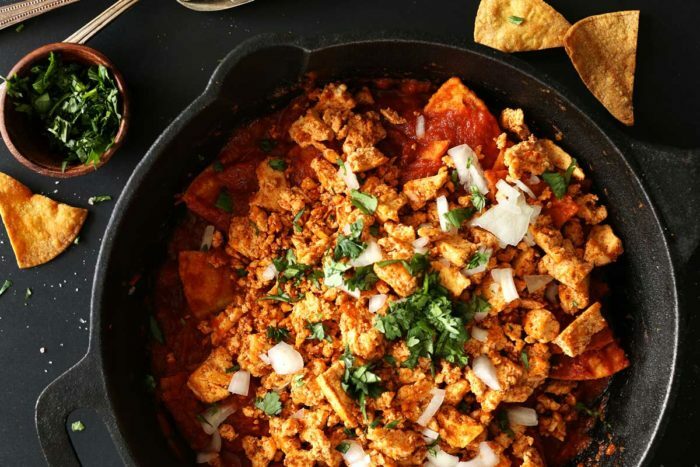 Place something heavy over the tofu like a cast iron skillet, and put it away in your refrigerator for about two hours. You can also let it drain for eight hours, which is preferred. You are now ready to fully season the tofu or marinate it, whatever you want. Once the tofu is drained, it is easy to marinate, but there is one little thing that many first-timers do that is a mistake when marinating. The issue is the marinade is oil-based, and you do not want that. No matter how much the tofu is drained, there is still going to be a little water left over. Using oil to cook tofu is not good since water and oil do not mix. Stick to vinegar or soy-based options to make sure your cooking goes well. An important step that many cooks make when handling tofu is expecting it to get crispy with heat alone. Getting tofu crispy is desirable for obvious reason, but this is a whole different texture, and it won’t have this effect no matter what you do. There is a trick that you can use to make your tofu crispy, but it does have to be drained before you try it. What you want to do is toss your marinated or drained tofu slices in a little cornstarch. Make sure it is lightly coated before you start to cook the slices, and you are done. It should be noted that tofu needs to be seared rather than just sautéed. This means that you should only place the tofu over a hot pan with hot oil. It also means that the oil used needs to be able to withstand the heat, so oils like sesame oil or lard are recommended. 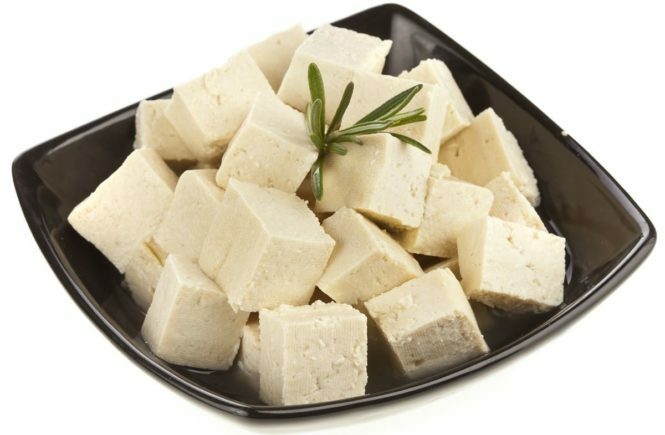 There is no doubt that tofu is becoming pretty popular in the states, which is urging some people to consider making tofu and other soybean products at home since they are so easy to make. Take okara, which is basically just foodstuff that is left over after draining the milk out of soybeans when you are making soybean milk at home. Okara is pretty healthy and goes well with many foods, including baked foods. Those who plan to eat the tofu that day do not need to do anything else, but those who plan to consume it another day must place the block in a container full of cold water. This water has to be changed every day until you use it. As you can see, it is not too hard to make tofu at home and enjoy the fruits of your labor. The Japanese have longer lifespans, and Americans have been trying to figure out their secret to longevity for decades. The Japanese are subjected to the same types of stress as Americans, so scientists started examining the Japanese diet, and one food came into focus: soy beans. Many Japanese eat a soy product for every meal. Tofu, miso, and natto (fermented soybeans) are all packed with soy bean nutrients. But are soy beans the key to longevity? 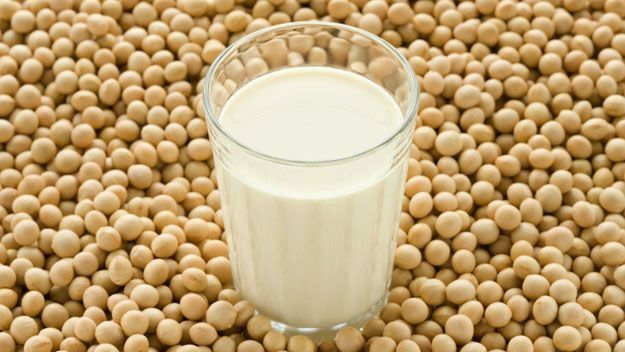 Numerous studies have been conducted on the different types of soy products, including soy milk. High-quality soy milk has healthy amounts of protein and isoflavones as well as other nutrients. According to the LIVESTRONG website, soy milk has four vital vitamins and minerals. • Calcium: Calcium helps maintain strong bones. • Iron: Iron maintains blood vessels so that muscles and organs get oxygen. • Riboflavin: Also known as Vitamin B2, Riboflavin helps the body turn food into energy. • Vitamin B12: Vitamin B12 helps maintain normal brain function and helps form red blood cells. A glass of soy milk is not only refreshing, but it can strengthen a person’s skeleton, organs, and brain. In addition, riboflavin helps turn food into energy. Soy milk would be an ideal drink for anyone who is wanting to improve their health. Two other powerful soy nutrients are mentioned in scientific studies. • Soy Protein: Protein is found in all parts of the body: muscle, bone, skin and hair. It is also found in enzymes and blood. • Isoflavonoids: These are also known as isoflavones, and they interact with estrogen receptors. Protein is a basic building block for mammals, and soy protein is low in saturated fat, so soy protein is ideal for anyone who is wanting to maintain a healthy diet. WebMD recommends adding soy products to help reduce LDL cholesterol levels, also known as the “bad cholesterol”. Although eating soy protein only reduced LDL by 3%, WebMD mentions that any reduction is important. Since soy protein does not have any kind of cholesterol, they strongly recommend soy protein for a healthy diet. High levels of bad cholesterol can lead to heart disease and strokes, so monitoring the intake of LDL cholesterol is wise. Another study mentioned on WebMD linked soy protein to lowering triglyceride levels. Doctors have discovered that high levels of triglycerides can lead to heart disease. Soy protein has proven to reduce levels of LDL cholesterol and triglycerides, and both of these are known to cause major health problems, like heart attacks and strokes. Isoflavones are not as commonly known as proteins, and scientists are starting to unpack their potential. Studies have shown that isoflavones found in soy milk help battle several major health concerns for men and women. Although hot flashes during menopause are not a life-threatening problem, they do impact women’s lives. Women who suffer from hot flashes may suddenly begin to sweat around the face and chest, and they might turn red. According to the Mayo Clinic, a hot-flash sufferer is then often chilled after an episode. Women dealing with hot flashes may have to rest during or after an episode before they can continue their routine. Fortunately, scientists have discovered that isoflavones can reduce the “frequency and severity” of hot flashes. Everyone knows someone who suffers from hypertension, or high blood pressure. Unfortunately, many people do not know that isoflavones found in soy milk have been proven to reduce the blood pressure levels in those who suffer from hypertension. They recommend two cups of soy milk daily to get the proper amount of nutrients to reduce the risk of cancer. WebMD also reminds us that soy products are eaten daily by Asian women, and Asian women have an extremely low rate of breast cancer. There is one thing missing in soy milk: lactose, which is found in cow’s milk. If a person’s digestive system cannot break down lactose, they are labeled lactose intolerant which is not life threatening but can be very uncomfortable for the sufferer. 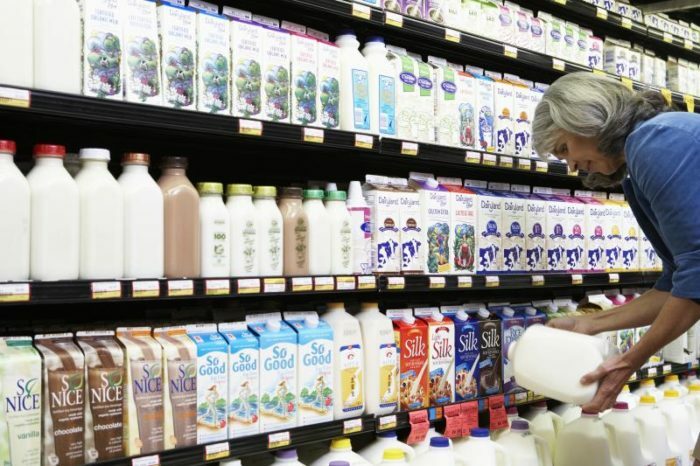 LIVESTRONG does advise soy milk drinkers to check the amount of sugar or calories in the various soy milk options to choose the best soy milk brand for their diet. In just two cups of soy milk a day, a person can get essential vitamins, minerals, protein, and isoflavones to help their body become stronger and reduce the risk of life threatening illnesses. Perhaps soy milk is the key to longevity.